The Intergovernmental Authority on Development (IGAD) has reportedly established a Taskforce on the Red Sea and Gulf of Aden today. According to IGAD’s press statement, the taskforce was formed by IGAD Committee of Ambassadors in Nairobi, Kenya. 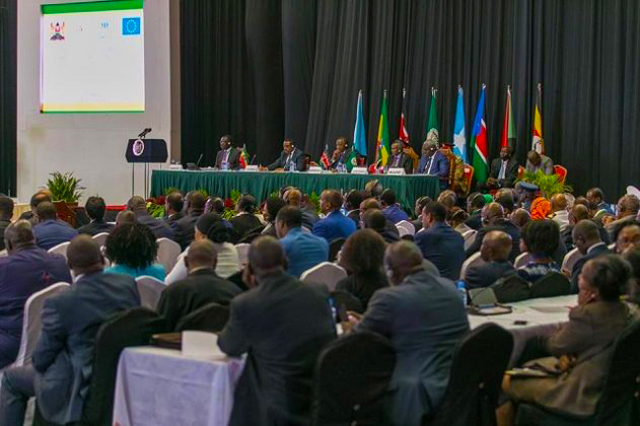 The establishment of the Task Force is in line with the decision of the 46th Ordinary Session of the IGAD Council of Ministers held in Djibouti on 27th February 2019. The taskforce is expected to study, review and formulate conclusions and recommendations as well as advise the Council and urgently chart a regional plan of action with clear timelines, the release stated. It will also build a common position and strategy to respond to the challenges and exploit opportunities in the Red Sea and the Gulf of Aden area. The taskforce will coordinate its efforts with the African Union Commission in line with the decision of the Council.